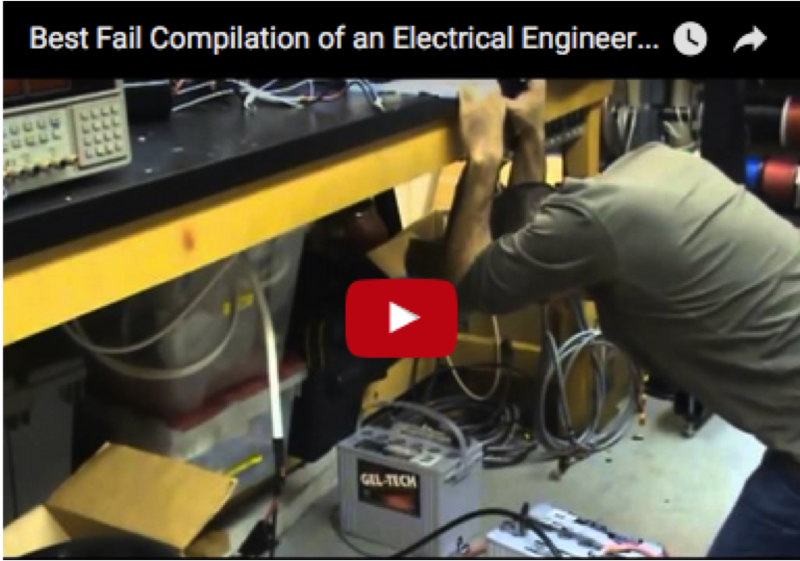 Engineering Fails - a light-heated compilation to bring you a smile and a laugh. This falls under the category of "don't try this at home." There has been a lot of buzz about USB cables and cable quality since the introduction of USB Type-C. These new cables are more complex than other cables delivering both power and data with more capacity and a reversible plug orientation. Much of the buzz is about the risk associated with higher voltage and current (up to 20V/5A) on the Type C cable, while equally important is the ability to carry data at speeds up to 10 Gbps. Total Phase will soon introduce a product to address the risks described above. The Total Phase Advanced Cable Tester evaluates USB Type-C cables, quickly providing a clear indication of its quality and safety. With this simple tool, all you’ll need to do is plug your cable into the tester and we’ll do the rest! The Advanced Cable Tester reads the DC resistance of each power pin, measures the overall cable IR drop and confirms that you can safely use the cable at the limits of the Type-C specification. For full data throughput, the SuperSpeed signal wires are tested up to 10 Gbps and D+/D- wires tested for High-speed. Finally, continuity and the integrated e-marker electronics are tested. Simple results are immediately available via LEDs, and all test details displayed through an easy to read user interface. Additionally available accessory cards will allow you to test the complete selection of legacy USB cables: USB-A, B, micro-B, mini-B, Lightning, etc. If you have questions please contact the Total Phase Sales Team. The purchase of a Promira Serial Platform includes a one-year hardware warranty as well as a one-year application support agreement. For customers who purchased their Promira platforms prior to July 2015, Total Phase has extended your hardware warranty and application support until August 31, 2016 - at no additional charge. The hardware warranty protects you financially from the potential failure of an older device. And your Promira application support service agreement provides access to new firmware, software, technical support, and the ability to upgrade your Promira platform with additional applications. A new license key (PMU file) is available through your "My Devices" dashboard. Click here to log into your user account; you'll be automatically taken to your personal dashboard. Click on "My Devices" > "Request License Key" link and download the file, for the appropriate device. Unzip and run the Promira Firmware Update Utility v1.34, following the instructions in the readme.txt file. In this process, you'll be copying/saving both the PMU and the latest firmware files to the Promira. Once you have completed these steps, your Promira platform will reflect the new August 31, 2016 application support end date AND have the latest firmware too. Do you have questions about your Promira platform? Would you like to learn more about extending your application support and your hardware warranty? Contact Sales. © 2016 Total Phase, Inc. All rights reserved.